One of the more remarkable stories of World War II, was chronicled in Unbroken: A World War II Story of Survival, Resilience, and Redemption. This book by Laura Hillenbrand tells the compelling story of the life of Louis Zamperini. As I was thinking about the events of this week, I reflected on Zamperini’s life which underwent a dramatic change when Louis’ plane crashed into the Pacific ocean. As the subtitle of the book says, Louis’ story is one of survival, resilience, and redemption. Over the course of his life, Zamperini experienced several life-changing events. Perhaps the most important change occurred when his wife convinced him to attend a revival being conducted by a young evangelist named Billy Graham. During the sermon, Louis was reminded of a promise he had made while adrift on the raft and about to die of thirst. Louis had promised od that he would serve heaven forever, if he could only be rescued. Louis Zamperini discovered the truth of 2 Corinthians 5:17: If anyone is in Christ, he is a new creation; old things have passed away; behold, all things have become new.” Through this verse, Louis learned the power of redemption and forgiveness. He also realized that God was giving him a second chance to keep his promise and to make the most of his life. Why not give God the chance to change you through a second chance? 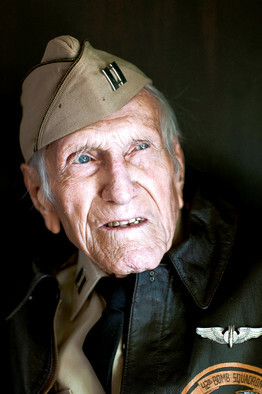 Note: Zamperini was 97 when he died in July of this year.